Festivals and events are of enormous significance to many communities around the world. They can have historic, religious, cultural and traditional significance, and they are also important parts of community building. This book focuses on these small-scale, non-metropolitan events (i.e. rural, regional and peri-urban) to explore the complex relationships between place, community and identity and the ways in which festival events bring these into being. 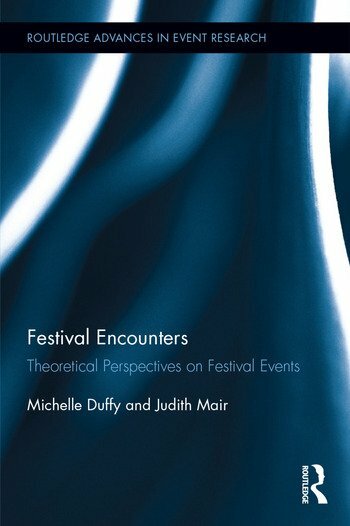 By drawing on the notion of ‘encounter’, this book examines how festivals and events can be seen primarily as spaces where different people meet. This notion of encounter helps us to understand how conviviality and social relations are developed, and what this then means in terms of social cohesion and social justice. It also draws on current theoretical and methodological approaches that can tell us about the role of festivals in contemporary life, and it includes the sensual approach, the geographies of affect and emotion, the notion of the right to the city and nonrepresentation theory. The book brings together these perspectives and examines their relevance in the community events context, identifying and discussing theoretical frameworks drawn from (including but not limited to) human geography, sociology, anthropology, leisure studies and urban planning, as well as tourism and event studies. For these reasons, Festival Encounters will be a valuable read for students and academics working on a wide range of disciplines. Michelle Duffy is an Associate Professor in Human Geography in the School of Environmental and Life Sciences, University of Newcastle, Australia. In broad terms, her research explores how interactions between people and place contribute to notions of community and identity, and hence the processes of belonging and alienation. Her work includes a critical examination of community resilience, well-being, and sustainability; the significance of emotion and affect in creating notions of belonging and exclusion; the role of art practice – specifically that of sound, music and performance – in creating and/or challenging notions of identity and belonging in public spaces and public events; and an exploration of the body as a means of embodied, emotional and affective communication.